HealthTap is an app available on iOS, Android, and the web that lets people ask medical questions of real doctors and get quick answers in return. The app is the brainchild of Ron Gutman, a serial entrepreneur working to shake up the healthcare industry in the best way possible. A Pew study on the relationship between the internet and healthcare revealed that 59% of Americans (including the author) have searched for health information online. The obvious issue here is the matter of trust -- how credible is the information that you find? HealthTap aims to solve this problem by connecting you with its network of real, living doctors to ask whatever question you need answered. It currently boasts 11,500 doctors in all 50 states, covering 112 different specialties (some as specific as aerospace medicine). How is it that doctors are legally able to dispense medical advice over the internet outside of the US healthcare system? HealthTap teamed up with Lloyd's of London to create a new type of liability insurance that's never existed before. It enables doctors to interact with people exclusively over HealthTap, which is pretty cool. HealthTap has a rigorous onboarding process for doctors that want to participate. Doctors need to be licensed in the US, in good standing, and have no disciplinary actions against them. In these respects, HealthTap is stricter than the state licensing board. So why would doctors spend lots of time dispensing medical knowledge on the internet for free? It's a way for them to publicize their practice and attract new real-life patients. There are also residual SEO benefits, making it easier for people to find the doctor online and see that he or she has an active web presence. And because HealthTap automatically directs questions to doctors based on their specialties, doctors get to answer questions they care about. HealthTap is very big on this idea of its community being a "transparent meritocracy" -- as doctors answer questions, users can "Thank" doctors for helpful answers. 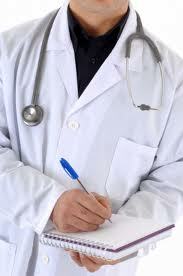 The doctors can "Agree" with answers provided to questions by other doctors. If a question has lots of doctors agreeing with the answer, you can probably rest safe in its accuracy. We were excited about the potential for this app and couldn't wait to try it.